Memories with Josh mean more to me than anything. 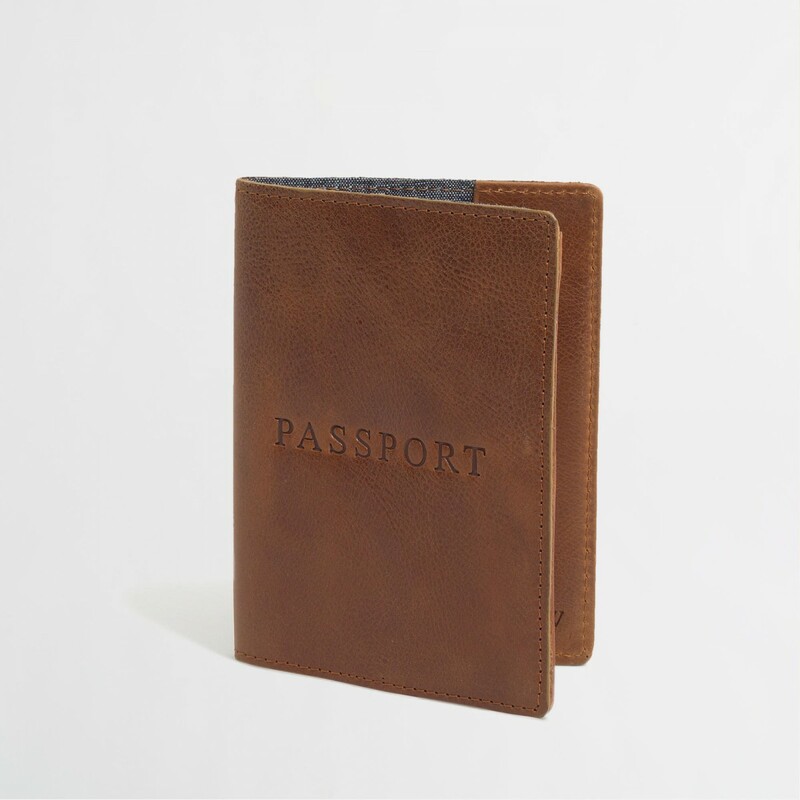 My dream gift to him would be a leather passport holder with tickets inside for us to travel to Ireland and Scottland. As much as I would love to surprise Josh with an international trip, that’s the kind of travel that takes a ton of planning and saving. 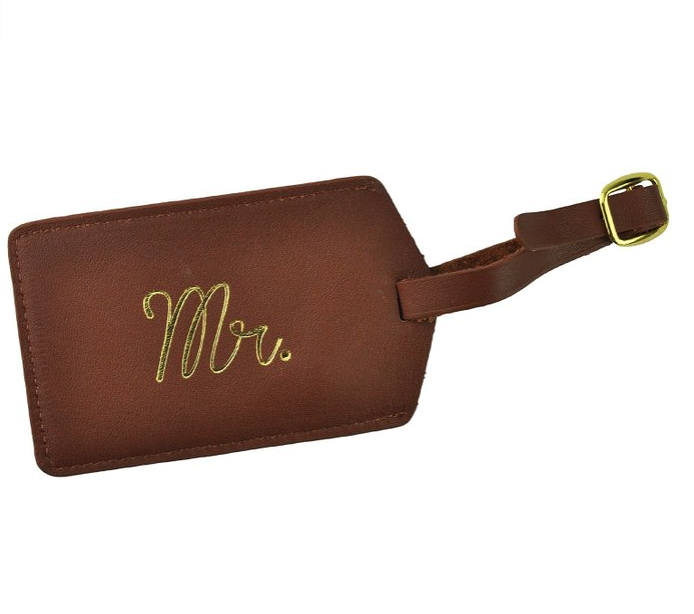 A much more feasible gift would be leather luggage tags with tickets to a US destination. There are so many places in our own country we still have yet to explore! If it’s just too hard for you to get away for any extended period of time right now, there’s a third travel option! 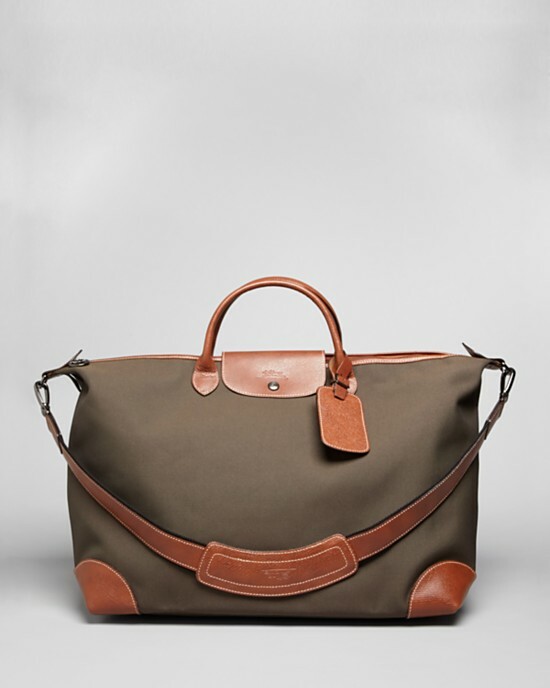 Pick up a leather overnight bag and either plan a weekend road trip to a nearby area or having a staycation in your own city! Josh and I do both pretty frequently and always have a blast. Last year Josh and I did a cotton candy photo shoot for our cotton anniversary. It was so much fun and such a special way to celebrate two years. When I was lamenting to Joanna recently that I didn’t know how I was going to keep up our fun photoshoot theme this year she suggested cows. At first I just laughed but then I really thought about it and came to love the idea. I reached out to one of my amazing photographer friends and she knows some people with cows, so fingers crossed we get the green light and this all works out. Josh uses a briefcase daily. 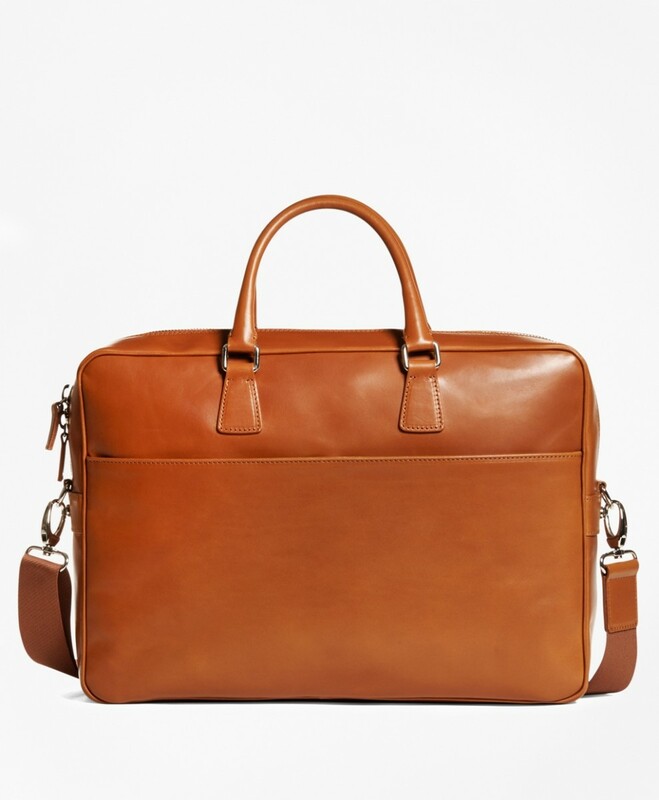 Help your guy look a little more put together at work with a high-quality leather briefcase. 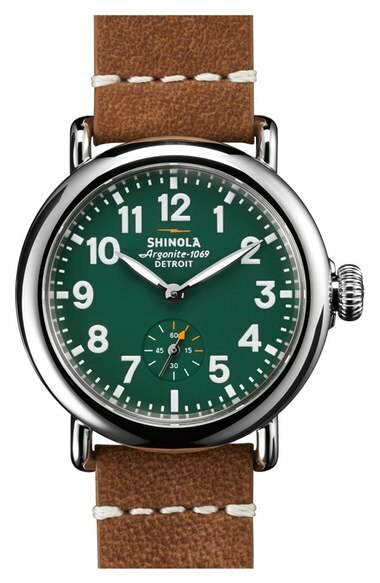 The messenger bag strap is essential for easy wear on any commute to the office he may have. 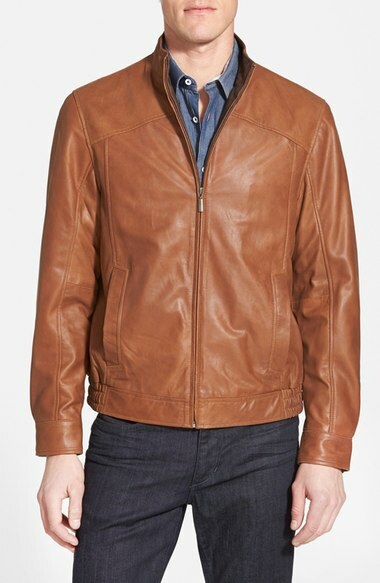 A leather jacket is another classic man gift. Josh has a decade-old leather jacket that has seen better days and is in need of a serious upgrade. I love the soft coloring and subtle tailoring of this leather jacket. My favorite place to be is cuddled up at home with Josh. 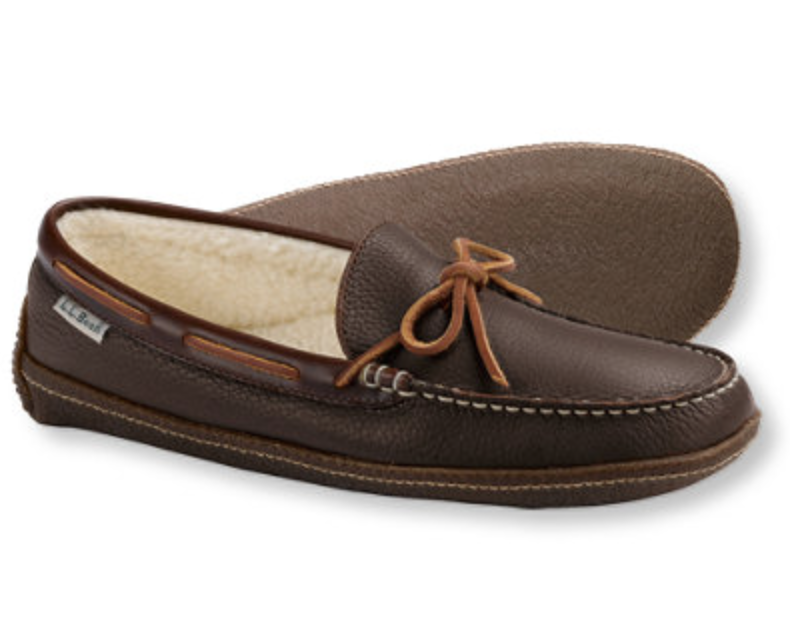 Leather moccasins are a great way to gift your guy a little extra comfort for your time at home together. Questions of the Day: Do you celebrate anniversaries with the traditional gifts? 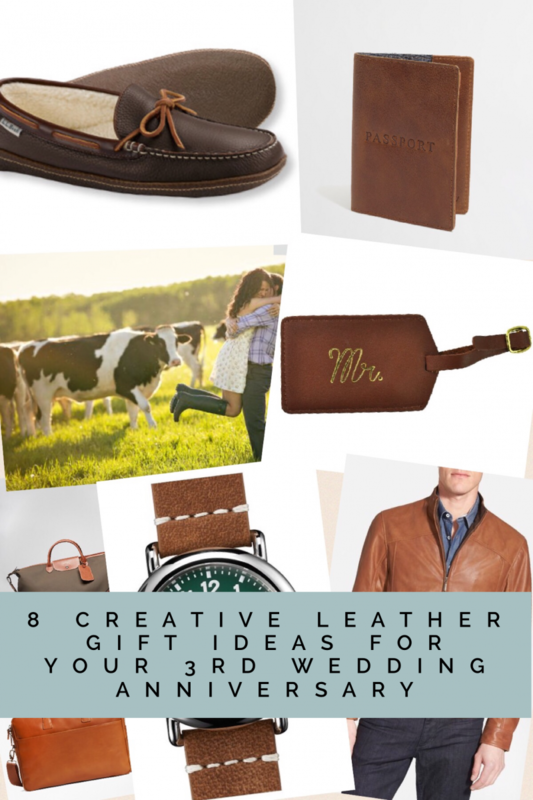 Which of these gifts would your husband like most? What year of marriage are you celebrating this year? Me too!! I feel like they would be hysterical and awesome at the same time! I love that passport holder and luggage tag! Congrats on your anniversary! Thanks so much! I can’t believe its been three years already. These are great ideas! I wish I was more dedicated to the traditional anniversary gifts! I vote for the passport holder!